I reviewed three Kindle covers for my latest generation Kindle 3 Wireless Reading Device and found the perfect one. 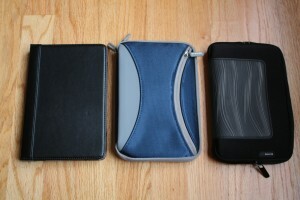 I tried out 3 covers, the M-Edge GO!, the M-Edge Latitude and the Belkin Grip Sleeve. 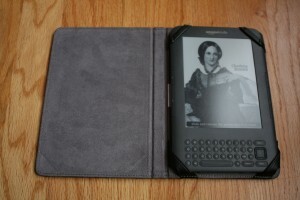 The M-Edge Latitude Kindle Jacket is the one I liked best for my Kindle 2 but unfortunately they changed the material. The new jacket is a lot stiffer, less pleasant to hold and did not fold over very well for reading. So if you have a Kindle 2, I recommend the Latitude jacket, but not for a Kindle 3. The Kindle does fit very nicely and snugly into the jacket and I felt like it protected my Kindle better than either of the others. I also tried a Belkin Grip Kindle Sleeve that I really liked. It was very light, padded and very comfortable to hold. I didn’t however want a sleeve. 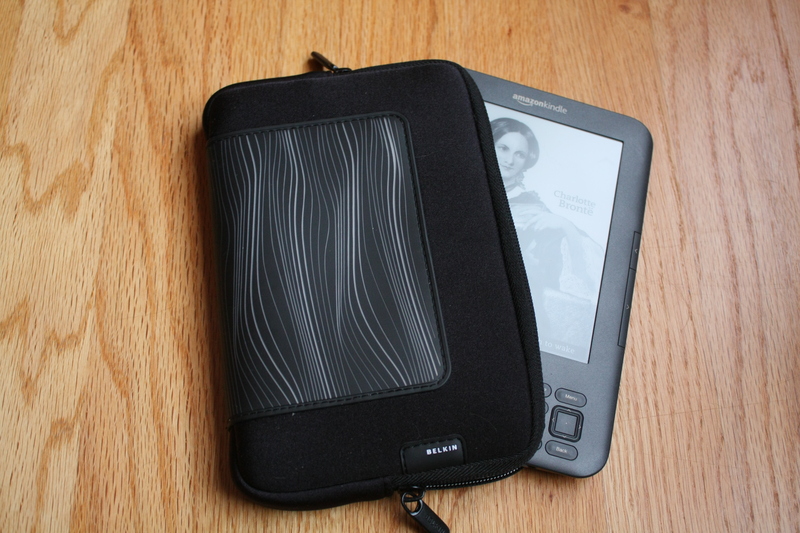 For sleeves, you take the Kindle completely out in order to read. This means that when you are holding your Kindle, or when you set it down for a second, it’s not protected. I imagined setting it down on the arm of the sofa and then having the dog or one of the kids knock it off. 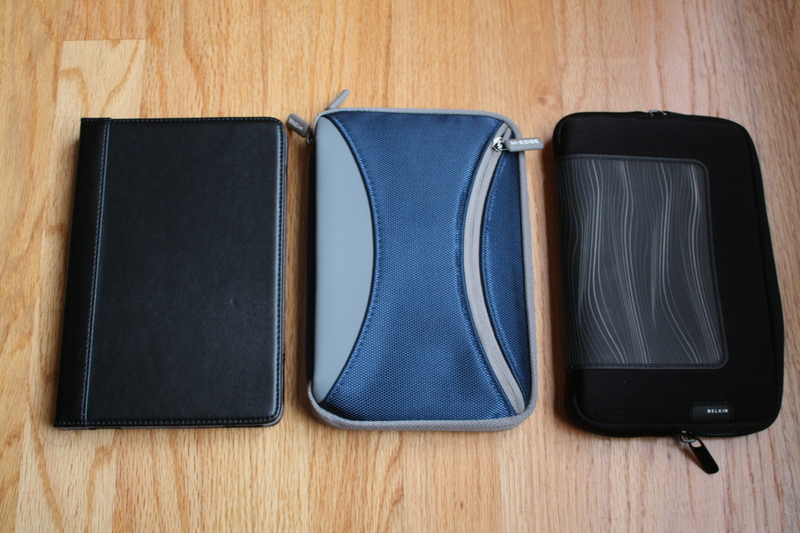 With the sleeve sitting on the table beside it … But if you are looking for a sleeve, I would recommend the Belkin one. 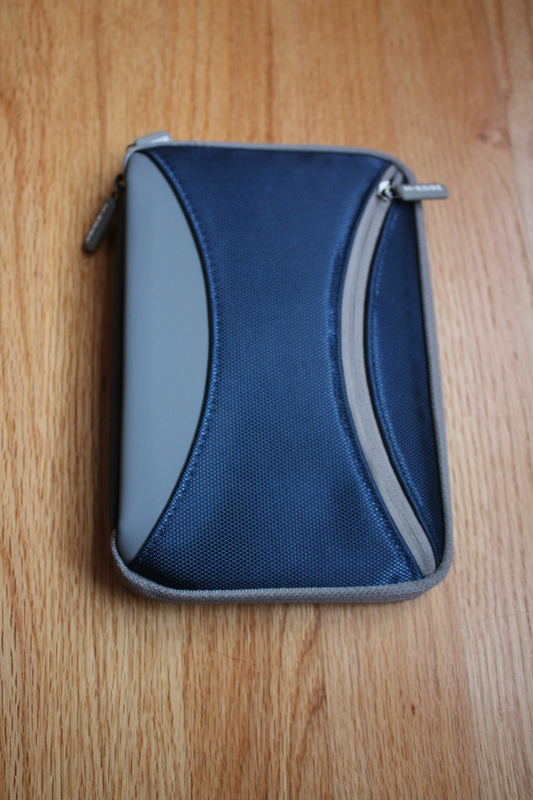 It’s light weight, feels nice and has good padding without being bulky. I enjoy carrying it in my hand and it fits into my briefcase quite nicely, taking up almost no room at all. Please let us know what cover you end up buying!